Carmelitas! The best cookie you will ever make. Each bite is an delicious balance of gooey caramel, chocolate chips, and crunchy and sweet cookie! I saw these on Pinterest a few months ago with the caption "carmelitas: the best cookie you will ever make" and I scoffed a little. I mean, really, how can you say that any cookie is "the best"? And then I made them, and I realized why. Because they really are the very best cookies I've ever made! Sure, they're very rich, and not something I could make every day, or even more than a couple of times every year, but they are amazing! 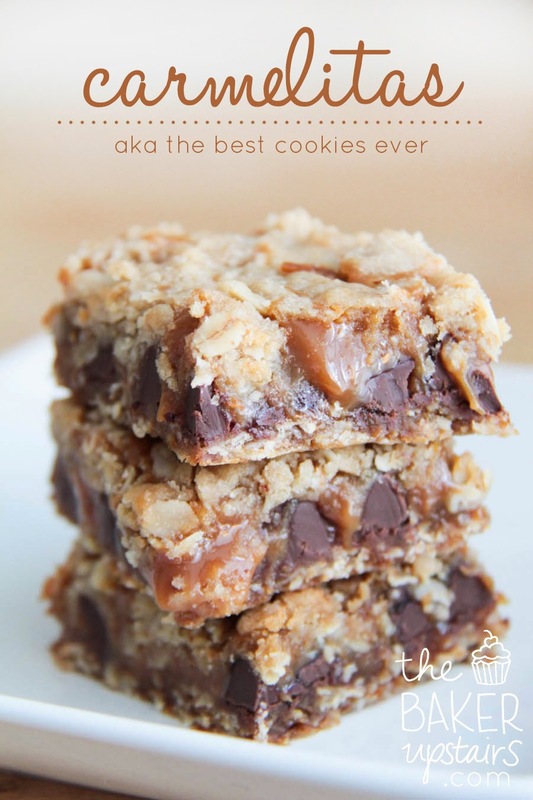 Each bite is an delicious balance of gooey caramel, chocolate chips, and crunchy and sweet cookie. And the best part? They're super easy to make! They were the perfect treat to celebrate my (hopefully productive) job interview yesterday afternoon. I'm definitely adding them to the short list of special occasion treats. Seriously, make them, and you won't be disappointed! Preheat the oven to 350 and line an 8 x 8 or 9 x 9 pan with foil or parchment. Add the caramels and cream to a small saucepan over low heat. Heat, stirring frequently, until completely smooth, then set aside. In a separate bowl, combine melted butter, brown sugar, flour, oats, and baking soda. Pat half of the oatmeal mixture into the bottom of the prepared pan. Bake 10 minutes, then remove the pan from the oven and sprinkle the chocolate chips over crust. Pour the caramel mixture over the chocolate chips. Crumble the remaining oatmeal mixture over the top of the caramel. Return the pan to the oven and bake for an additional 15-20 minutes, until the edges are lightly browned. Remove from the oven and allow to cool completely before cutting. High Heels and Grills brought me here and now I've found myself following your blog now and amazed with all your recipes. I'm an Asian and every recipe I see in here sounds great to me. One day, I might try this and I'll surely blog about it and link your blog as well. You truly are a great woman. Your two adorable little kids surely enjoy every meal they have. And these cookies, I'm drooling over them now. haha. OMG , One word YUM! 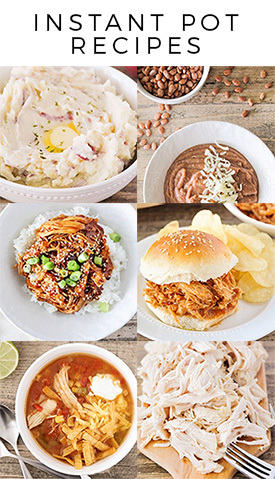 Oh my goodness, these look so delicious. I can't wait to make some!! These look delicious. I love desserts with oats in them! I'm visiting your from Sumo's Sweet Stuff Linky Party. 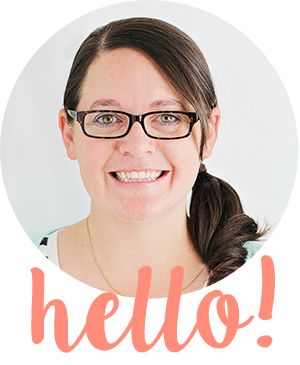 I am your newest follower on GFC and would love if you could come visit me too at http://sarahsaturdiy.blogspot.com. Have a great weekend! I made these last night and they were amazing! I know that they are suppose to be cookies, but it tasted more like I was enjoying a really decadent caramel candy! So good! Thank you! OMG!!! I have to try these tonight! A package of caramel bits? or measured by cups? These look wonderful. Thinking about the holidays! You are still receiving comments a year after posting. So glad you waited for me to move into the 21st century and a decent internet connection!!! Thanks for sharing! I used a whole package... I don't know how many ounces it is (sorry!) I think it's around 14 ounces? I'm making these right now! I didn't have any caramel bits...but I had some salted caramel I made as filling for the hazelnut macarons I made yesterday! How much does the melted caramels + cream yield? I wasn't sure how much to use, I just basically covered the chocolate chips with caramel...I hope it was enough! i have a bag of caramel bits dated 7/13/13. i opened it and tasted one, it tasted ok to me. would you take a chance and use it or buy a new bag. Could you make your own caramel or do you have to buy caramel bits? I made these last night and followed the recipe. Clearly there is a mistake with how much butter to use. It was an expensive disappointment. I was also very disappointed with these. They were very wet. Did you let them cool completely? Yes, they freeze beautifully! Just be sure to keep the in an air tight container. I used half and half, dark chocolate chips and sprinkled some sea salt on the top--very tasty. I may make another batch! These are so good! We are waiting for them to cool right now and it's killing us having to wait. These are amazing! After cooled I sliced and stored in fridge since they were VERY soft. Just made these. They came out perfect. Definitely a "Pinterest win". Thanks for the recipe! I made these today, currently cooling on the cupboard, looks and smells amazing!! If I were to use Caramel Bits instead of the wrapped caramels, how much would I use? I used one 11 ounce package. They're small balls of caramel that are sold in bags (unwrapped), and much easier to use for melting than the square caramels. I've found them on the baking aisle next to the chocolate chips. You didn't say to grease the 8x8 pan. Did you mean to? I usually just line the pan with foil or parchment so the cookies are easy to lift out. These are amazing, but they definitely need salt! Either sprinkled on top or mixed with the oat & flour mix. It's just way too sweet without the salt! This is the best carmelita recipe. I've made 4 different ones and this one wins every time. My family's favorite treat! Hands down! I am in love, For the caramels I used this fabulous 6 minute microwave caramel recipe. https://www.sixsistersstuff.com/recipe/homemade-microwave-caramels-recipe/ I started it while the bottom crust was baking and it was ready to pour on top of the chocolate layer. I used the whole recipe of caramels in the Carmelita recipe and it was perfect. I made these with Smucker's Salted Caramel Sauce. I heated the sauce in the microwave for 20 seconds to make it slightly easier to drizzle. I didn't even measure, I just drizzled the sauce onto the crust/chocolate chips mixture. It worked perfectly! There are several different oats on the market. Can I use Quick 1-minute rolled oats? I have made these twice. The first ones were awesome. The second time not so great. The only thing I did different was use a glass dish the first time and a metal dish the second time. I didn’t think that would make a difference, but obviously it did.